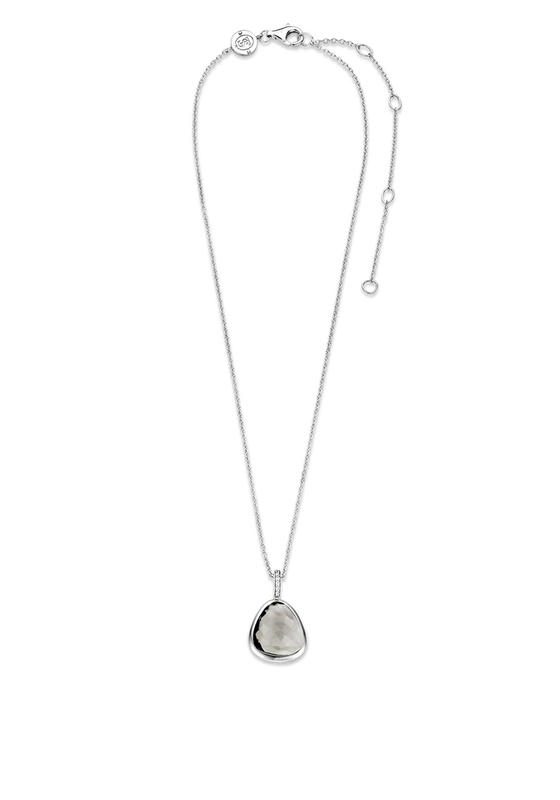 Treat yourself or a loved one to this Ti Sento grey crystal necklace. 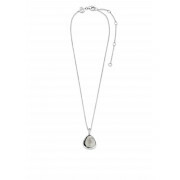 This necklace is very simple but very well designed with many small elements to gaze at. With a Silver triangle shape carrier holding a grey crystal and silver rhinestones added to the top this necklace has enough glam to carry you through from daytime work to night time party.